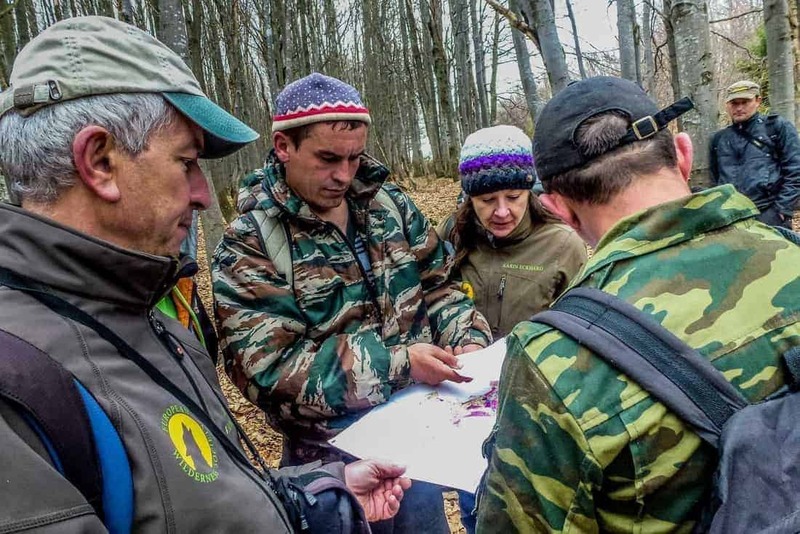 At the beginning of May our team carried out a site assessment of the very first wilderness area in Ukraine. One of the youngest national park in the country – Zacharovanyy Kray National Park. This park become a home for the group of wilderness experts of the European Wilderness Society for more than week. Auditor team explored and verified many remote corner of this wilderness area with no roads, trails or other signs of human activity to make sure that this area meet the European Wilderness Quality Standard. A true old-growth beech forest with many signs of the presence of wildlife, such as wild boar, roe deer, badger, fox and other native species to the Carpathian region was just one of many signals that this area despite of relatively small size meet demanding EWS quality standard. Ongoing process of enlargement this protected area provides an opportunity significantly increase not only overall size of this protected area but particularly size of the core/wilderness zone. After demanding but exciting days in Zacharovanyy Kray National Park our team traveled all over Carpathian regions, Ukraine and after many meetings with representatives almost all wilderness areas and national and nature parks come to the conclusion that this part of Europe is a really kind of wilderness kingdom and deserves specific attention. That was the reason why we decided to open an European Wilderness Society office in Uzgorod.